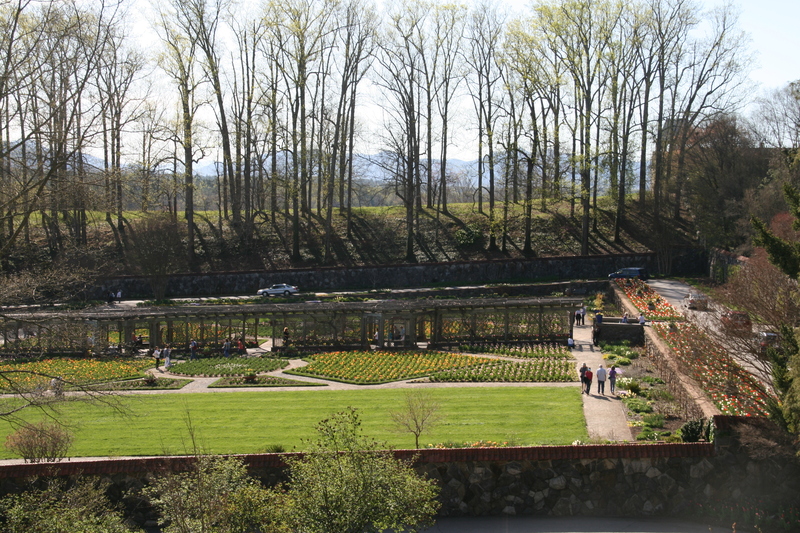 I had the opportunity to visit The Biltmore Estate (http://www.biltmore.com) in Asheville, NC last weekend. It was not by chance. I was meeting friends and when deciding where to meet I naturally opted for the choice which would allow a visit to renowned gardens and landscape. The Biltmore house and grounds were begun in 1888 by the then 25-year-old George W. Vanderbilt, grandson of the famous and fabulously wealthy Cornelius Vanderbilt. When completed in 1895 the 175,000 square feet house was heralded as the “largest private residence in America” and the grounds covered 125,000 acres. 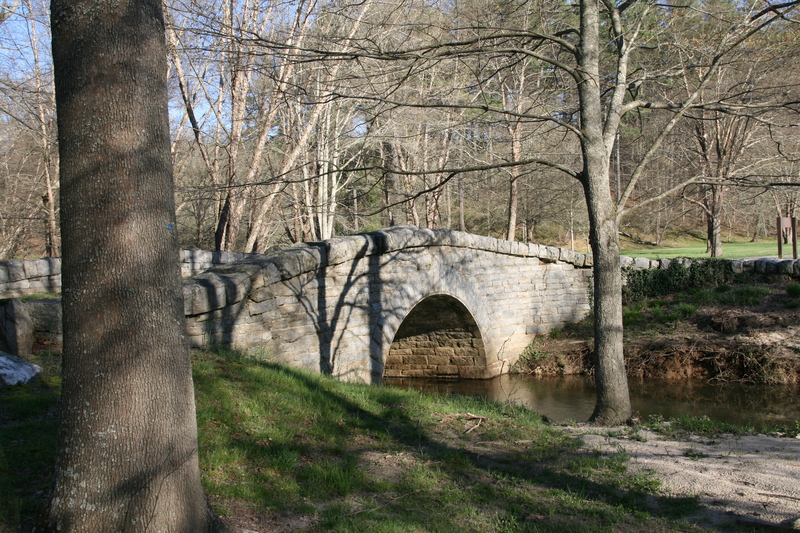 Vanderbilt hired Richard Morris Hunt as his architect and, significantly for the purpose of this blog and landscape history, Frederick Law Olmstead Sr. for his landscape architect. 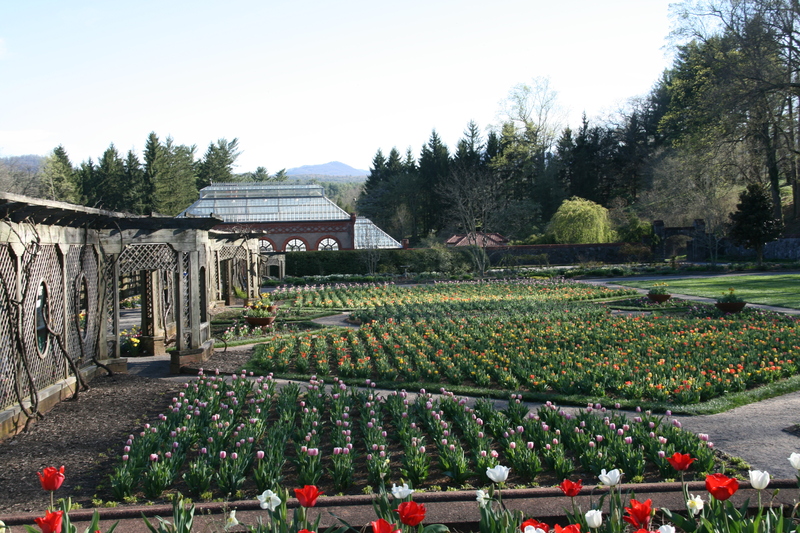 The Biltmore Estate would be Olmstead’s last major commission. The project did not have an auspicious beginning. 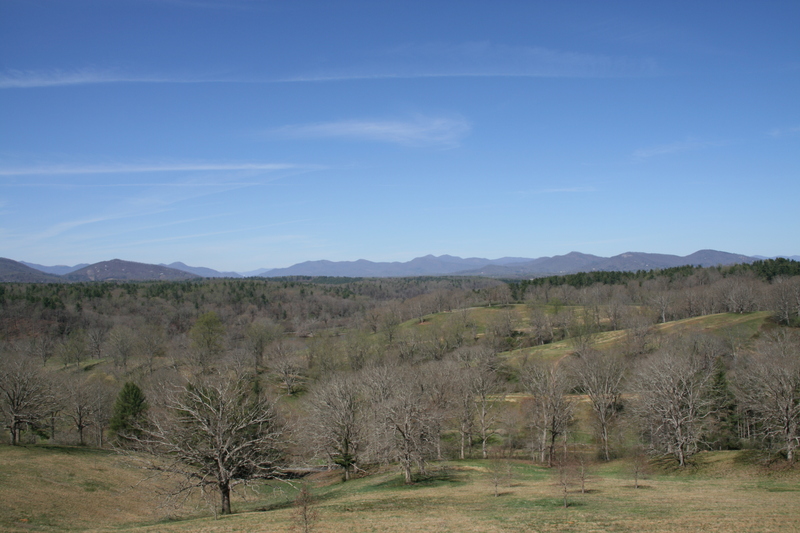 The land purchased for Biltmore was flat, over–farmed and over-logged. 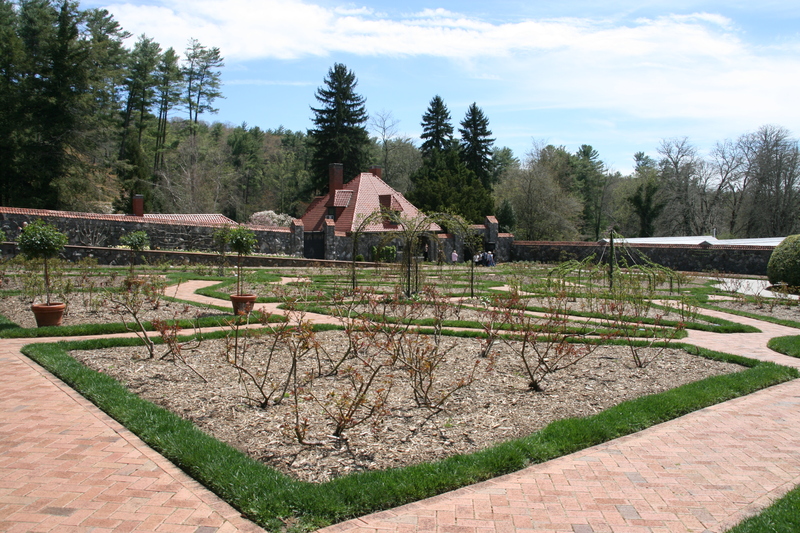 After surveying several thousand acres Olmstead decided the farmland was too depleted to support the type of grand gardens that Vanderbilt wanted and told him that the land was unfit for gardens. Vanderbilt, however, would not accept this verdict and Olmstead continued with the project. At Biltmore, the genius of Olmstead is most evident in the approach road. 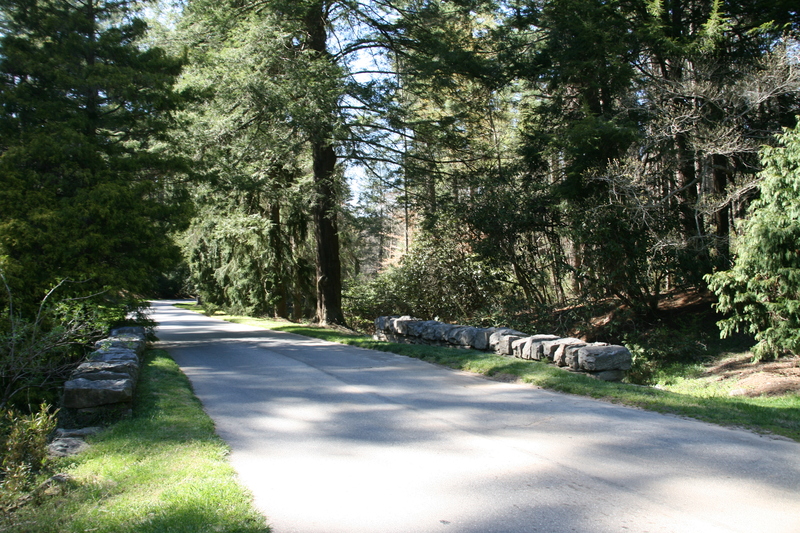 It is a 3-mile ‘driveway’ bordered with ”varied forms of vegetation…all consistent with the sensation of passing through the remote depths of a natural forest” (as Olmstead wrote to Vanderbilt in a letter from July 12, 1899). The drive was designed to deliberately keep the house from being seen for the full 3 miles until the viewer is driven onto a grassy esplanade and the huge house is suddenly right there. I can attest to the fact that this is an effective design tool. My friends and I drove through the Olmsteadian landscape of lush trees and shrubs thinking of ourselves as immersed in the forest, oblivious that the huge chateau style house was so close. In typical Olmstead style, he planted masses of rhododendron and other woodland shrubs lining the drive to create the feeling of a superabundance of nature. When necessary he constructed berms to make the hills and ridges that changed the flat farmland into a rolling pastoral landscape. 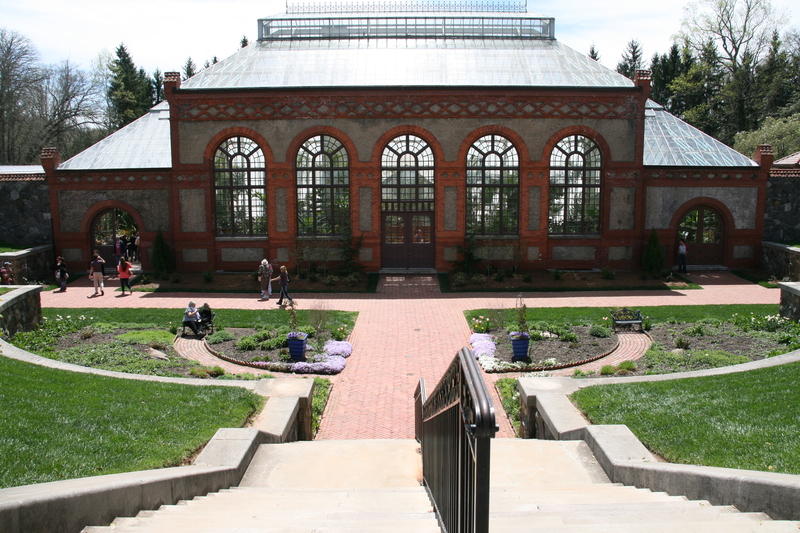 Nearly 3 million plants were planted in the initial design. 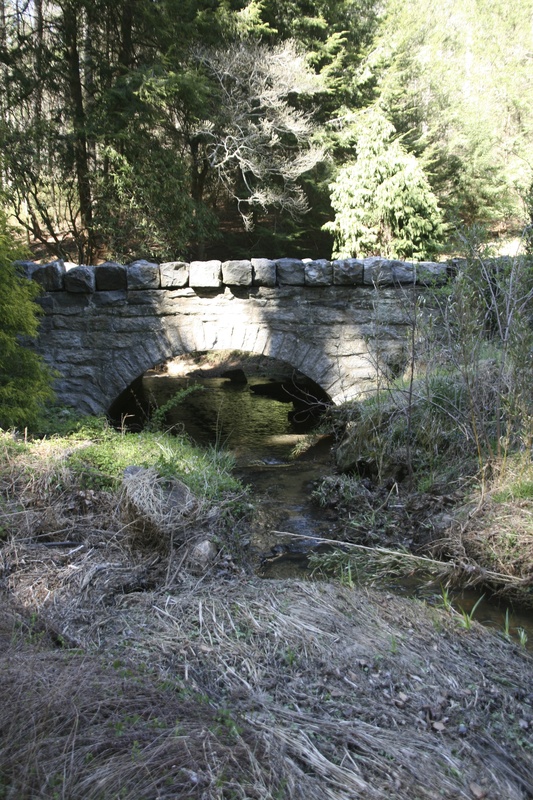 It is a beguiling landscape filled with details used in other Olmstead designs, like these stone bridges. 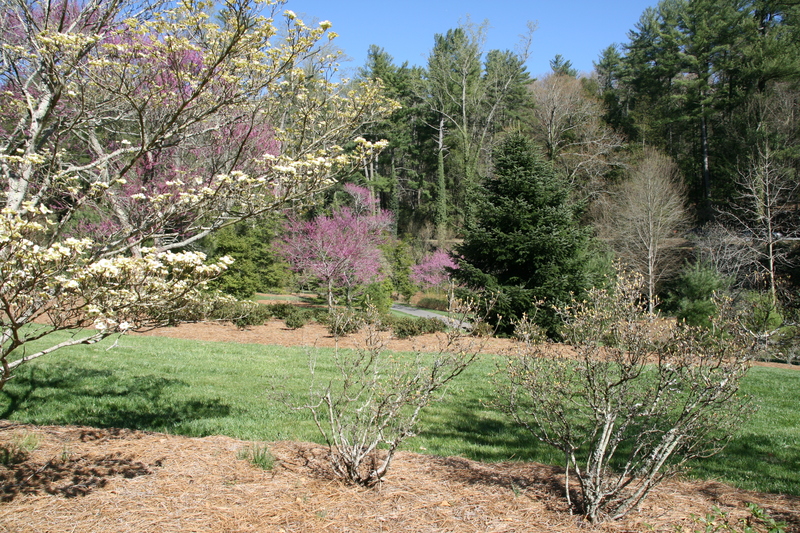 and many redbuds, dogwoods and star magnolias in bloom. 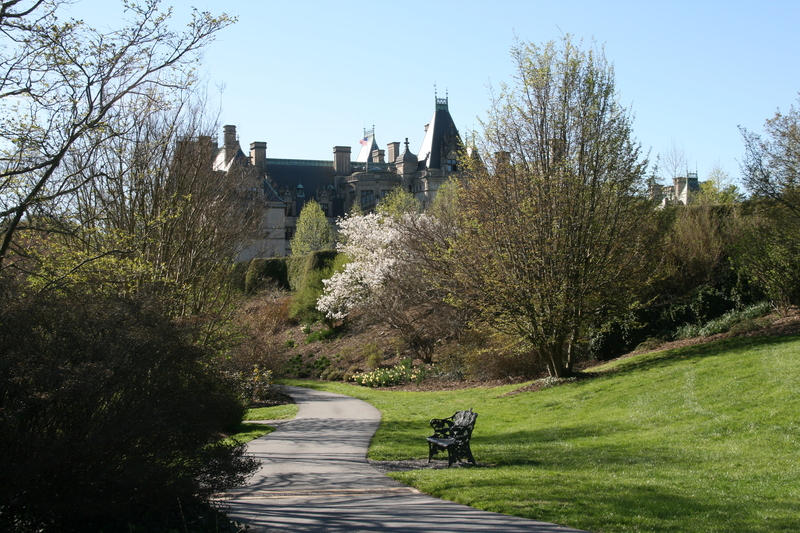 One hundred and eighteen years after it’s creation, the house, gardens and landscape of The Biltmore Estate continue to delight. 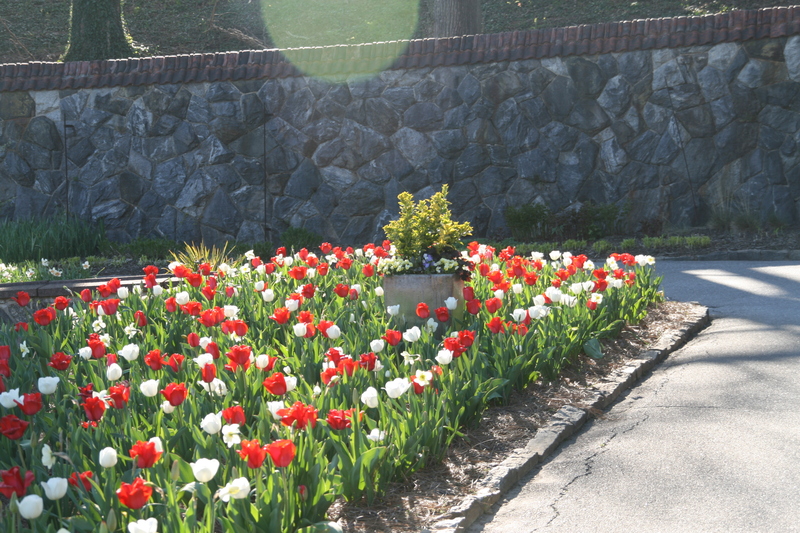 The estate is still owned by George Vanderbilt’s direct descendants, his grandson William A.V. Cecil is the current owner. Nearly 900,000 people visit each year and the operation is a well-run business and it sometimes feels like the business it is, although I don’t know how a 175,000 square foot house and 8,000 acre estate would feel under ‘normal’ circumstances, if ‘normal’ standards can be applied to such an operation. It does get crowded and it was crowded the day I visited, although it is so massive there is plenty of room for everyone. Despite the somewhat sterile plantings in the formal gardens I would go again and spend more time exploring Olmstead’s design and plantings. I hope you get the chance to go and experience one of the great American designed landscapes. Fascinating. 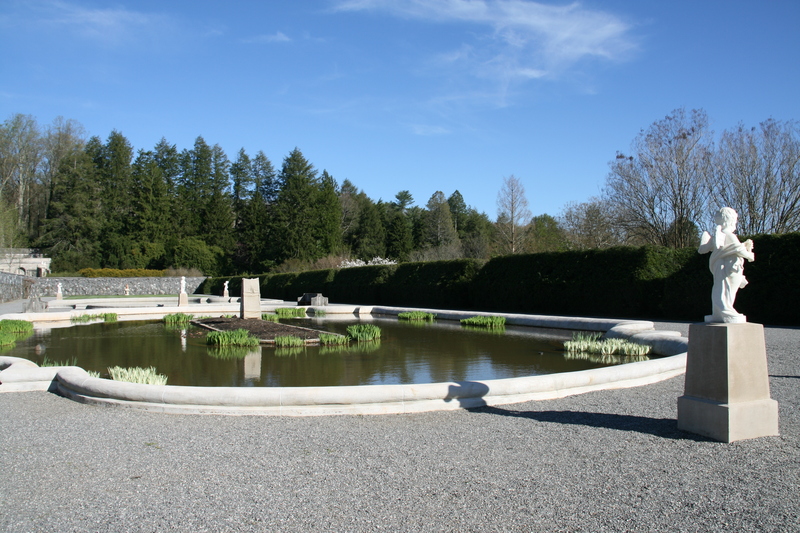 I’d never heard of this estate and the history and virtual tour were wonderful. You are very welcome. It is a worth a visit, next time you are in Asheville NC. 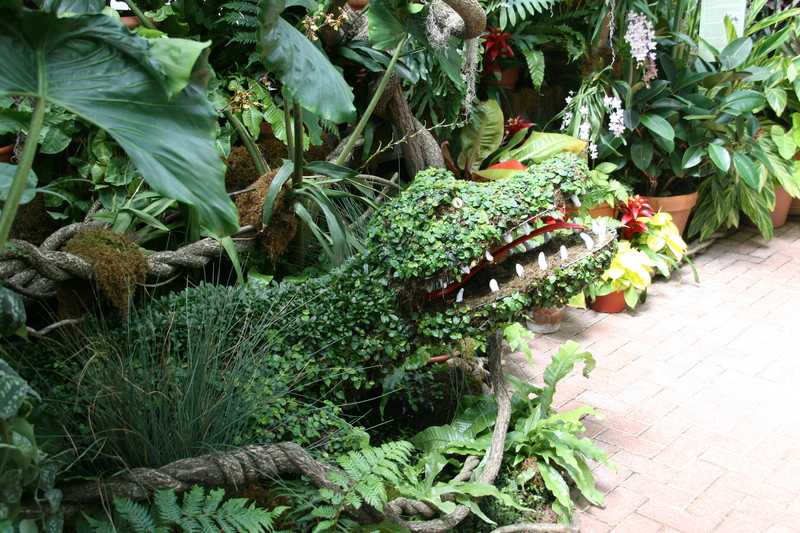 Thanks for following ofgardens! Hope you get there one day!